**Lease payments calculated based off of a 39-month lease with 10,000 miles per year, 10% of the MSRP is down payment. No security deposit required, with approved credit. Extra charges may apply at lease termination. 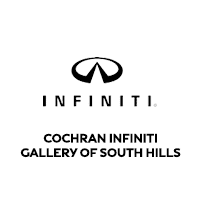 Plus first month’s payment, $700 bank fee, $144 dealer fee, $53 electronic title, $16.97 Online Registration, tax, $30 new plate or $9 transfer tag and state fees with approved credit through INFINITI Financial Services. See dealer for complete details. Expires at month end.